It's a big jump from last year's results, which only saw two entries from Singapore make the cut. 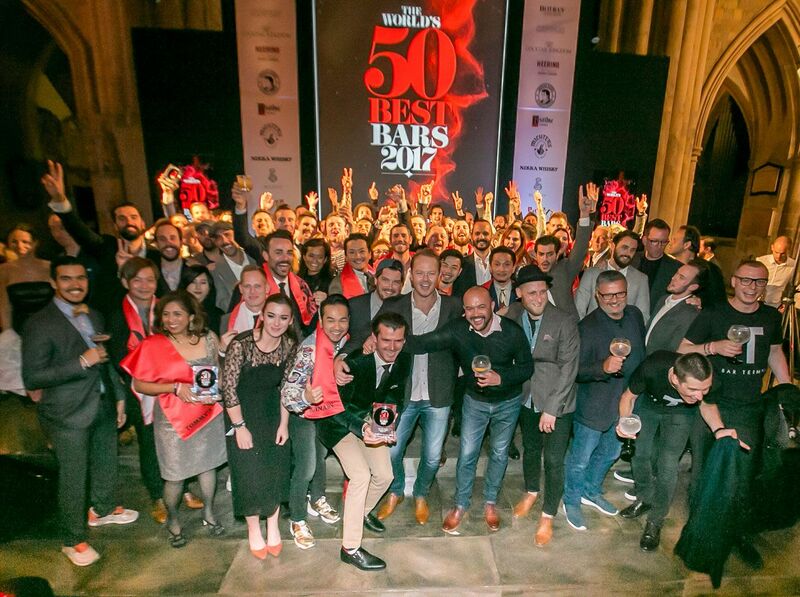 Singapore's world class bar scene was most recently celebrated at the World’s 50 Best Bar Awards held in London last night. Six bars in Singapore made it onto the covetable list, with Manhattan, also Asia’s Best Bar 2017, landing the seventh spot to claim the title of Best Bar in Asia and affirm its reputation as one of the hottest places to grab a cold one. Gin bar, Atlas, known for its 1,000 strong gin collection, debuted at No. 15 and took home the Highest New Entry award. The other local bars on the list are Native (No. 47), 28 HongKong Street (No. 25), Operation Dagger (No. 24) and Tippling Club (No. 31). And for this year’s pick for the Best Bar in the world? It’s none other than American Bar, located within the Savoy in London, and headed by bartender Dominic Whisson. Last year’s top bar was The Dead Rabbit in New York, which is now at No. 5.